Roxie Hart (Phyllis Haver) examines the results of pulling the trigger while a player piano grinds away in the background. Last night we ran the original 'Chicago' (1927), and it's a fun film for music, with a lot of good scenes that lend themselves to a brash sycopated kind of score, and some dizzy transitions from drama to comedy that music can help bring to life, I think. 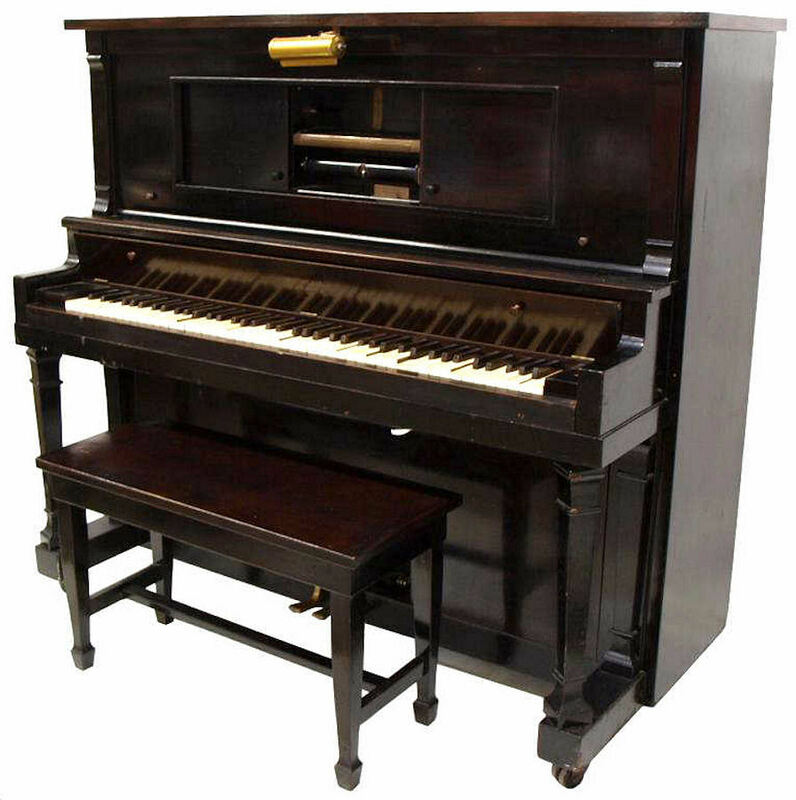 It's also a challenging one, as a player piano has a featured role on-screen. Why challenging? Because the player piano is used during some of the most dramatic scenes in the picture, as a kind of visual counterpoint to the action. When Roxie Hart (Phyllis Haver) drills Eugene Pallette to get the picture going, the player piano is right there front and center, a full witness to the carnage. At a few key points when the tension amps up, the movie cuts to the piano grinding away, its keys moving up and down in that ghostly "look ma, no hands" manner that player pianos have about them. A typical player piano of the era, ready for its close-up. How interesting in a silent film to use a musical instrument to help set a scene visually, but leave it up to the pit musicians to figger out how to bring this to life? So how do you score this? Do you just morph the orchestral texture into a kind of honky-tonk sound and leave it at that, or do you switch specifically to a solo piano sound and play that up? Or something else? And whichever path you choose, how do you do it without taking away too much attention from the film? Well, I chose to switch to a solo piano sound whenever the thing was switched on, if nothing else than for variety. If it worked at all, it's because at least it's easy to spot the moments coming: 'Chicago' has exactly three player piano sequences that are easy to see before they happen, and their end is visually signaled as well. I wasn't overly thrilled with the results, but people at our screening at the Manchester (N.H.) Public Library said they thought it worked quite well! Just goes to show that how you think you did sometimes varies tremendously from what others perceived. The music for player pianos came in the form of 'piano rolls,' quantities of which continue to turn up in estate auctions all the time. By the way, I just learned that 1924 was the peak year for player piano sales in the United States. Up until then, business was good at a time when no home was considered truly complete without a piano. (A player piano served as the equivalent of today's home entertainment centers, I guess.) From the mid-1920s on, the player piano's place in the home was rapidly usurped by gramophone records, which boasted much improved fidelity as the 1920s wore on, and also the then-new-fangled radio or "wireless" devices that came on the market then. So when 'Chicago' was filmed in 1926-7, the player piano already had a kind of sad "not quite with the times" quality about it, which probably added something to the picture's "yesterday's news" theme. And by the time of the stock market crash in 1929, player pianos were last week's cole slaw, and production had virtually ceased. Looking ahead: After a Labor Day weekend lull, the schedule comes back to life in mid-September with back-to-back screenings of Keaton's great comedy 'The Cameraman' (1928), one on the Maine coast and the other in the mountains of Vermont. Below is the press release for the screening on Friday, Sept. 14 at 8 p.m. at the Leavitt Theater in Ogunquit, Maine; for the next day's showing, just substitute "Brandon Town Hall in Brandon, Vt." for the venue and 7 p.m. for the time and "free" for the admission, and you're good to go. OGUNQUIT, Maine—He never smiled on camera, earning him the nickname of "the Great Stone Face." But Buster Keaton's comedies rocked Hollywood's silent era with laughter throughout the 1920s. Acclaimed for their originality and clever visual gags, and admired for their realistic stories and authentic location shots, Keaton's films remain popular crowd-pleasers today. 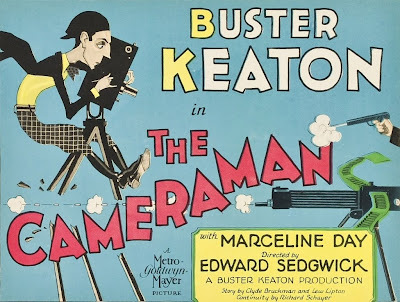 See for yourself with a screening of 'The Cameraman' (1928), one of Keaton's landmark feature films, on Friday, Sept. 14 at 8 p.m. at the Leavitt Fine Arts Theatre, 259 Main St. Route 1, Ogunquit, Maine. The program will be accompanied by live music performed by New Hampshire composer Jeff Rapsis. General admission is $10 per person. 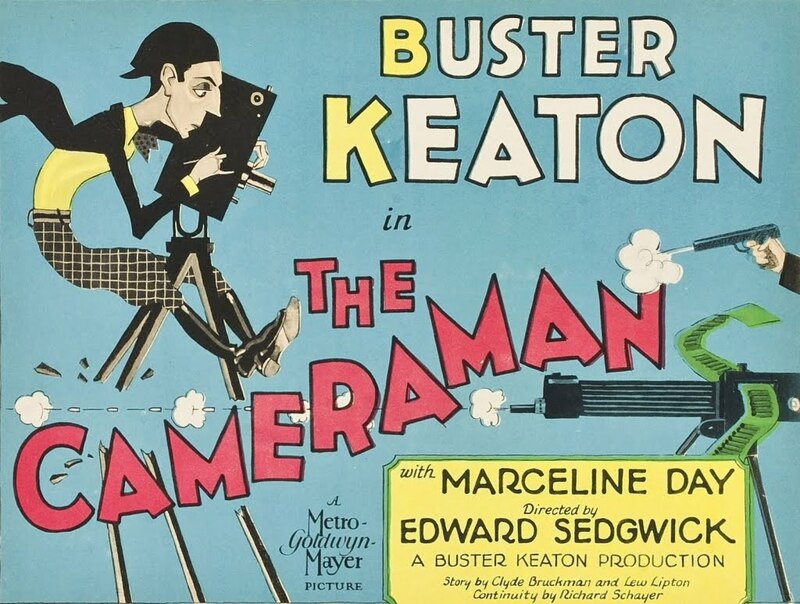 'The Cameraman' tells the story of a young man (Keaton) who tries to impress the girl of his dreams (Marceline Day) by working as a freelance newsreel cameraman. His efforts result in spectacular failure, but then a lucky break gives him an unexpected chance to make his mark. Can he parlay the scoop of the year into a secure job and successful romance? In 'The Cameraman,' Keaton creates comedy that plays with the very nature of film and reality. The film contains several classic sequences often cited as among Keaton's best, including a scene where Keaton and a large man both struggle to change into swimsuits in a tiny dressing room. The scene, which runs several minutes long, was filmed in one take. Keaton, along with Charlie Chaplin and Harold Lloyd, stands as one of the silent screen's three great clowns. Many critics regard Keaton as the best of all; Roger Ebert wrote in 2002 that "in an extraordinary period from 1920 to 1929, (Keaton) worked without interruption on a series of films that make him, arguably, the greatest actor-director in the history of the movies." But while making films, Keaton never thought he was an artist, but an entertainer trying to use the then-new art of motion pictures to tell stories and create laughter. An entirely intuitive artist, Keaton entered films in 1917 and was quickly fascinated. After apprenticing with popular comedian Roscoe "Fatty" Arbuckle, Keaton went on to set up his own studio in 1920, making short comedies that established him as a one of the era's leading talents. A remarkable pantomime artist, Keaton naturally used his whole body to communicate emotions ranging from sadness to surprise. In an era with no special effects, Keaton's acrobatic talents meant he performed all his own stunts. All those talents are on display in 'The Cameraman,' which was selected in 2005 for preservation in the U.S. National Film Registry by the Library of Congress as being "culturally, historically, or aesthetically significant." In addition the the feature-length 'The Cameraman,' several Keaton short comedies from earlier in his career will also be screened. The Leavitt, a summertime only one-screen theater, opened in 1923 as a silent film house. It is currrently in its 89th season of operation in the seaside resort town of Ogunquit. 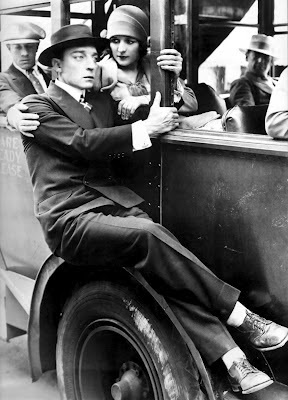 Rapsis, a New Hampshire-based silent film musician, said the Keaton features were not made to be shown on television or viewed on home entertainment centers. In reviving them, the Leavitt aims to show silent film as they were meant to be seen—in high quality prints, on a large screen, with live music, and with an audience. "All those elements are important parts of the silent film experience," said Rapsis, who improvises accompaniment as a film is screened. "Recreate those conditions, and the classics of early Hollywood leap back to life in ways that can still move audiences today. They all featured great stories with compelling characters and universal appeal, so it's no surprise that they hold up and we still respond to them." ‘The Cameraman’ will be shown on Friday, Sept. 14 at 8 p.m. at the Leavitt Fine Arts Theatre, 259 Main St. Route 1, Ogunquit, Maine. Admission is $10 per person. For more info, call (207) 646-3123 or visit www.leavittheatre.com. For more info on the music, visit www.jeffrapsis.com. Talk about your moving farewells! 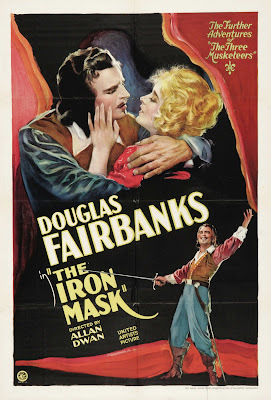 Yesterday (Sunday, Aug. 26), we ran 'The Iron Mask' (1929), the last silent swashbuckler from Douglas Fairbanks, at the Wilton (N.H.) Town Hall Theatre as a way to close out our summer-long series of his work. It was a new film to me, and I was struck how he fashioned the ending to not just finish the film, but also to bid goodbye to his silent film career and the character that had led us all on a decade of great adventures. I don't want to spoil it for anyone, but what happens to Fairbanks at the end (and only in this film, no others), is quite a moving salute both to his career and the art form in which he worked. He knew he was moving on, as was the industry, and he bowed out in a very classy way. Bravo, Doug! Funny how unexpected things can shape your experience of a film. Fairbanks intended 'The Iron Mask' as a kind of companion film to the earlier 'Three Musketeers' (1921), using many of the same cast members. However, a few changes were made. In the earlier film, the musketeer Aramis was played by Eugene Pallette. When it was time to make 'The Iron Mask,' Pallette had gained so much weight that he was replaced by Italian actor Gino Corrado. That's Corrado as Aramis below, on the far left. A highlight of the film is their encounter with a high-strung violinist, played by none other than...yes, Gino Corrado. After Moe, Larry, and Curly succeed in smashing his violin, Corrado becomes so enraged that he grabs a ceremonial sword from a wall and begins chasing them, threatening to "cut you all into little pieces! "and to "kill you to death." 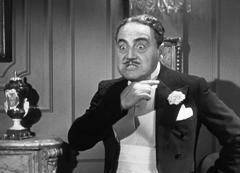 In a later scene, Corrado makes an menacing "finger across the throat" gesture before exposing the Stooges as incompetent frauds. This is a film I've known and watched over and over since childhood. Due to repeated exposure in this one role, Gino Corrado to me will always be the enraged classical violinist who wants to cut the Stooges into little pieces. (There he is at left.) So when he shows up in other movies (and he was a busy guy, appearing in more than 350 films during a long career), it creates a little dislocation for me. No matter what is happening, I expect Corrado to become enraged, grab a sword, and start chasing people around. That happened a lot when I first watched 'The Iron Mask,' but then of course this is one film in which Corrado actually does spent a lot of time chasing people around with a sword, so it all seemed quite natural. I don't know this for sure, but it seems there's a direct connection between 'The Iron Mask' and Corrado's several appearances in Stooges films two decades later. One of the sound technicians for 'The Iron Mask' was a young man named Edward Bernds, who would later become a director at Columbia in the short subject department. And guess who directed 'Micro-Phonies?' That's right. But one of the nice things about these connections is that it spurs my curiosity about some of these actors. And in the case of Corrado, I'm glad it did. Turns out he's the only actor to appear in all three of the big-time classics of Hollywood's golden era: 'Gone With the Wind' (1939), 'Citizen Kane' (1941), and 'Casablanca' (1942). The roles may have been minor, but what an amazing and unique trifecta! Although Corrado retired in the 1950s, he lived until 1982, when he died at age 89. And get this: According to Wikipedia, "his grave is located at Valhalla Memorial Park Cemetery, and his gravestone epitaph is etched with Corrado's video screen-image from the classic Three Stooges short, 'Micro-Phonies,' with the inscription, "Forever On The Screen - Forever In Our Hearts." Speaking of Bernds, the future director: why did 'The Iron Mask,' a silent film, have a sound technician? Because Fairbanks knew that for a film being released in 1929, a few dialogue sequences would greatly help its chances at the box office. So that's what he did, and I'm pleased to report that for our screening, we were able to include the two original "talking" scenes as filmed, with Fairbanks addressing the audience directly and exhorting us to follow the grand adventure. We this once again with a switch rigged up by Dennis Markaverich of the Wilton Town Hall Theatre, who's been running the show there since 1973. (And movies have been shown there since 1912, meaning a full century!) When a dialogue scene comes up, all I have to do is flip an ordinary home light switch and the original soundtrack comes up. Okay, moving onward: if you missed Eugene Pallette as Aramis in 'The Iron Mask,' he shows up in 'Chicago' (1927), the next silent feature I'm doing music for. It's screening on Tuesday, Aug. 28 (hey, that's tomorrow!) at 6 p.m. in the downstairs auditorium of the Manchester (N.H.) Public Library, 451 Pine St. Admission is free. The original silent 'Chicago' is another title I've never done but wanted to, so I'm looking forward to it. I had hoped to do it a couple of years ago when the Ogunquit Playhouse, a well-known regional theater in our part of the world, was presenting the much-more-recent stage musical 'Chicago,' which would make the silent film version a nice companion piece. But alas, it didn't happen, and so I'm still hoping to work with a theater company on a pairing like this. Any takers? At this point, I've done live music for well over 100 different silent features, so it's only natural to expect some repeats. Last night's screening of Chaplin's 'The Kid' (1921) at Merrimack College in North Andover, Mass. was a good example: I think I've done the film at least a half-dozen times over the past five years. I'm not complaining, as 'The Kid' is a great picture and an especially good one for music. Our audience of about 60 people responded strongly to the movie, and to the two Chaplin Mutuals we screened ('The Pawnshop' and 'The Cure') as a warm-up. But I do enjoy tackling a film that I've never done before, and that's what we have coming up this weekend at the Wilton (N.H.) Town Hall Theatre. It's 'The Iron Mask' (1929), the last silent from Douglas Fairbanks, Sr. and the final film in our summer tribute to this great artist. A new film often motivates me to create new material, which in turn gives me more to work with for other future screenings. And there's the thrill of discovery — again and again, I've been surprised at films I hadn't known, either well-known classics or obscure titles, by twists and turns and so many other things. So to me, there's nothing like the spell that can be woven when seeing a film that's completely new to a viewer, and that often prompts me to go the extra mile in creating new music to make it work for modern audiences. The challenge is a bit more complicated than usual for 'The Iron Mask,' as the film has two dialogue sequences that we'll be including intact. So, like we did with 1928's 'Noah's Ark' (another part-talkie) last spring, we'll rig up a switch where I can turn the soundtrack on and off when needed. Will it all work? Join us for Sunday's screening and see (and hear!) for yourself. For more details about the film, the press release is below. with live music on Sunday, Aug. 26 in Wilton, N.H.
WILTON, N.H. — A summer-long celebration of the great movies of Douglas Fairbanks Sr. concludes this month with a screening of 'The Iron Mask' (1929), the filmmaker's final silent epic. 'The Iron Mask' will be screened on Sunday, Aug. 26 at 4:30 p.m. at the Wilton Town Hall Theatre, 40 Main Street, Wilton N.H. Live music will be provided by silent film accompanist Jeff Rapsis. Admission is free, with donations accepted to help defray expenses. Fairbanks, early Hollywood's original action-adventure hero, entertained movie audiences of the silent era with thrilling on-screen adventures and feats of derring-do. A gifted athlete, Fairbanks was famous for performing his own stunts. In 'The Iron Mask,' Fairbanks reprises his role as 17th century French patriot d'Artangan from his earlier adaptation of 'The Three Musketeers' (1921), only now as an older swordsmanship instructor to young King Louis XIV of France. The long-secret existence of a twin brother of the king, separated at birth, leads to a plot to kidnap the now-grown king and usurp the monarchy, causing the true king to be imprisoned in an iron mask so that he can't be recognized. Fairbanks, as the king's guardian, is left to save the day—but only if he can reunite the long-disbanded Three Musketeers to aid him. 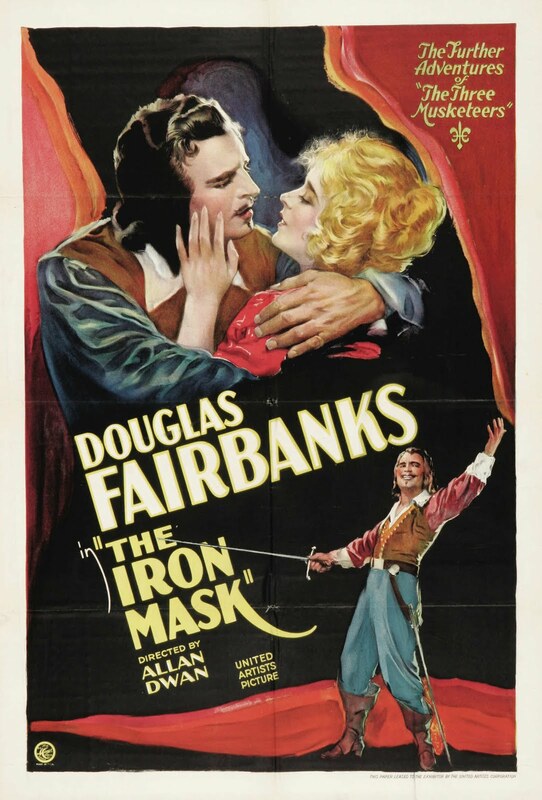 With the silent era coming to a close, Fairbanks produced 'The Iron Mask' as a rousing farewell to the form. Sets, costumes, and production design were all conceived on a grand scale, and with careful attention to historical authenticity. 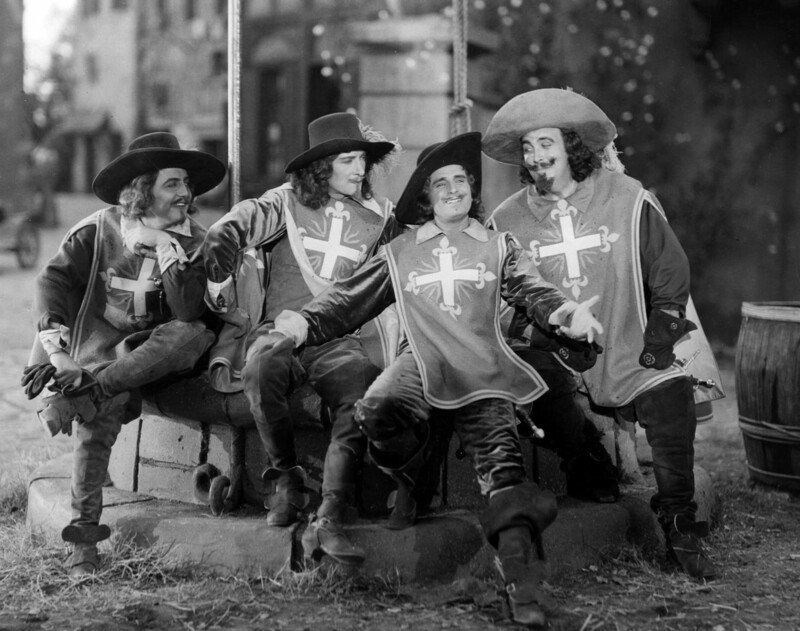 Because 'The Iron Mask' was released during the transition from silent movies to talking pictures, the film includes two sequences of dialogue that will be included in the screening. 'The Iron Mask' marks the final installment in the Wilton Town Hall Theatre's summer-long Fairbanks salute. Fairbanks, one of the most popular stars of the 1920s, was the inspiration for the character of George Valentin in the recent Oscar-winning Best Picture 'The Artist' (2011). Fairbanks used the then-new medium of motion pictures to transport audiences to historical time periods for great stories, grand adventures, and athletic stunts, making him one of cinema's first superstars. 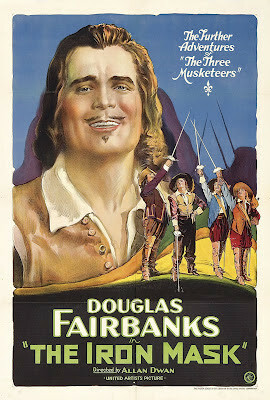 He's often referred to as "Douglas Fairbanks Sr." to avoid confusion with his son, the actor Douglas Fairbanks Jr.
Live music for 'The Iron Mask' will be provided by silent film accompanist Jeff Rapsis, who uses a digital synthesizer to recreate the sound and texture of the full orchestra. "The Fairbanks series this summer has been a terrific one for music," said Rapsis, who improvises accompaniment using themes or melodies he composes beforehand. "His films can still generate an immense amount of excitement, and it's been a thrill to create music that helps them come to life for today's viewers," he said. 'The Iron Mask' is appropriate for family audiences, though it includes intense dueling and fighting scenes that may be frightening for very small children. The film runs 95 minutes. The summer-long Fairbanks salute is part of the Wilton Town Hall Theatre's monthly silent film series, which gives today's audiences a chance to experience the great films of Hollywood's early years as they were intended: in restored prints, in a theater on the big screen, and with live music and an audience. "If you've never seen a silent film in a theater with live music and an audience, the Fairbanks pictures are a great way to experience the medium at its best," Rapsis said. "When you put all the elements together, silent film still has an ability to stir up an audience in a way that no other medium can." 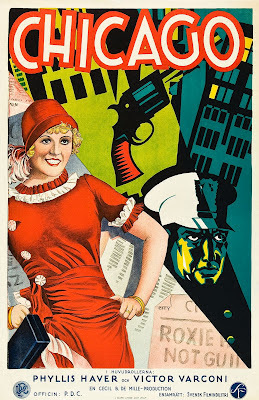 • Sunday, Sept. 23, 2012, 4:30 p.m.: "Spies" (1928). Director Fritz Lang's epic tale of espionage was the forerunner of all movie spy sagas, packed with double agents, hi-tech gadgets, beautiful (and dangerous) women, and all revolving around an evil genius with a plan to take over the world. A surprising (and rarely screened) silent film gem. Admission free, donations encouraged. • Sunday, Oct. 28, 2012, 4:30 p.m.: "The Hands of Orlac" (1924). A concert pianist, Paul Orlac (Conrad Veidt), loses his hands in a railway accident. Replacement hands are transplanted onto him in an experimental procedure, but the hands are those of a recently-executed murderer. The pianist is then tortured by panic attacks and irrational fears. Admission free, donations encouraged. 'The Iron Mask' (1929) will be screened on Sunday, Aug. 26 at 4:30 p.m. at the Wilton Town Hall Theatre, 40 Main St., Wilton, N.H. Admission is free, with donations accepted to defray expenses. For more information, visit www.wiltontownhalltheatre.com or call (603) 654-3456. It's been quite a week for silent films with which I have a personal attachment. Last night's screening of 'The Cameraman' was in that category because it's the film that reacquainted me with the magic of silent film after several decades of pretending to be a somewhat normal adult. 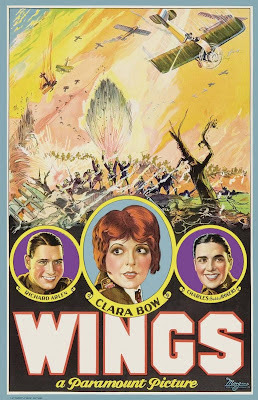 And tomorrow night (Saturday, Aug. 11), it's a screening of 'Wings' (1927), the blockbuster about pilots in WWI. This is one that always moves me, in part because it's a good film, but also because my father was a pilot who flew transport planes in World War II and later flew commercially for Northeast Airlines, a regional carrier in our corner of the world. One of the things I often point out to audiences for 'Wings' is that when this film was made, we have to remember that flying was absolutely new and amazing. It's not like today, when commercial aviation is an ordeal on so many levels. In 1927, flying was magical — a long-cherished dream of mankind finally realized! Most people had never even seen an airplane, never mind flown in one. 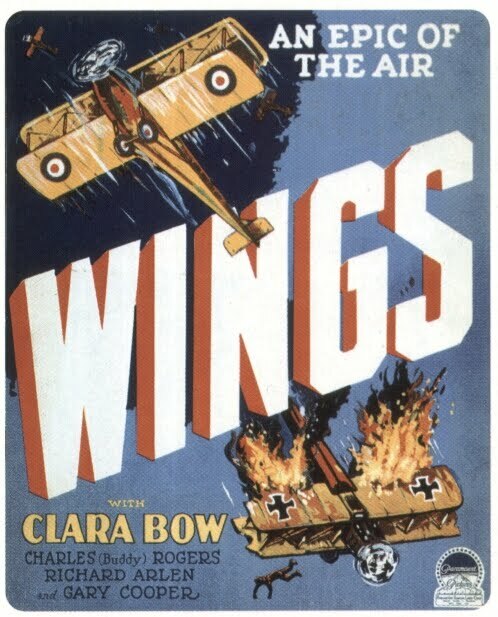 So this movie, in which director William Wellman takes us right up into the cockpit, must have been absolutely mind-blowing. My old man, the future pilot, would have been 11 years old when this film came out. I have no idea if he ever saw it — he died in 1968, alas, when I was four years old, and all his brothers and sisters are gone, so there's no one to ask. But it seems right to me to think that he must have seen it, and it must have inspired him in some way to dream of flying, just as in the opening scenes of the film. It would be only a few years until he started flying, and it helps me make sense of the world, a little, to think that this film that I accompany might have played a role in steering him toward his destiny. Somehow, it all helps things fit together. And it helps me remember the power of cinema and the arts in general, especially in the mind of an 11-year-old boy just beginning to awaken to the possibilities of life. Hope you can join us for the screening of 'Wings' this Saturday night! As an added bonus, we're auctioning off a novelization of the film that I'm donating as a way to raise additional funds for the Brandon Town Hall's restoration. (That's what this is all about, after all.) Check out the picture: it's a nice hard-bound copy that was issued in the era before home video, as a way for people to relive the magic of the film when we didn't have everything on demand. I haven't read it, but the parts I have skimmed through differ somewhat from the story as shown on screen. On the other hand, it contains about a dozen stills from the picture, and the copy is complete (no pages missing) in pretty good shape. Curiously, the inside cover is inscribed "Christmas 1928 from Mabel Bartlett," but then the next page is inscribed "Wishing Dear Lauraine Enderly a Merry Merry Xmas From Mabel Xmas 1929." So it appears that our copy was regifted! For complete details, here's the press release. BRANDON, Vt.—Silent film with live music returns to Brandon Town Hall in Brandon, Vt. in August with 'Wings' (1927), a World War I epic drama that won 'Best Picture' honors at the very first Academy Awards. 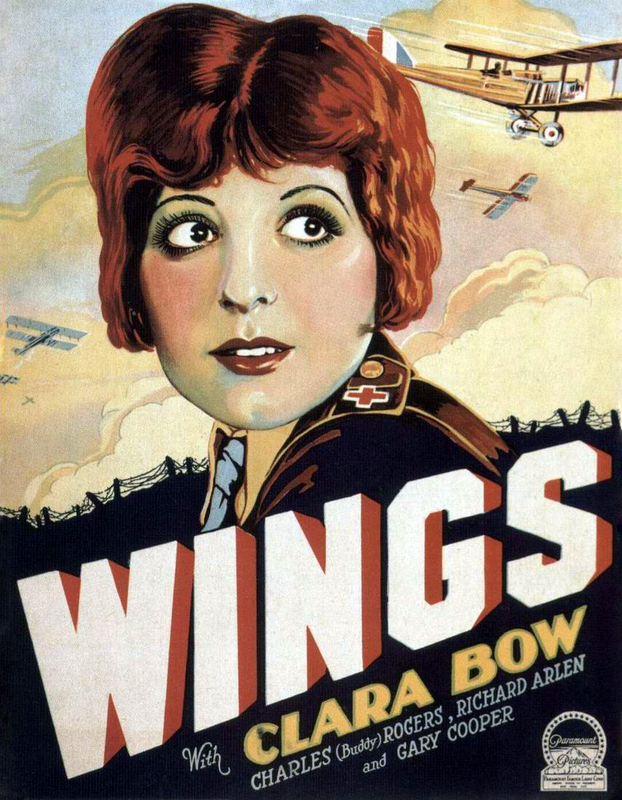 'Wings' will be revived for one showing only at Brandon Town Hall on Saturday, Aug. 11 at 7 p.m. The screening of 'Wings' will feature accompaniment by Jeff Rapsis, a New Hampshire-based composer who specializes in creating live music for silent film presentations. The three stars looking uncharacteristically glum in this still. 'Wings' will be screened with live music on Saturday, Aug. 11 at 7 p.m. at Brandon Town Hall and Community Center, Route 7, in Brandon, Vt. Admission is free; donations are encouraged, with proceeds to support ongoing renovation of the town hall.
" 'Wings' is not only a terrific movie, but seeing it on the big screen is a great chance for everyone to appreciate what our servicemen and women endured in World War I," said accompanist Jeff Rapsis. "It's a war that has faded from our collective consciousness, but it defined life in the United States for a big chunk of the 20th century. This film captures how World War I affected the nation, and also shows in detail what it was like to serve one's country a century ago." 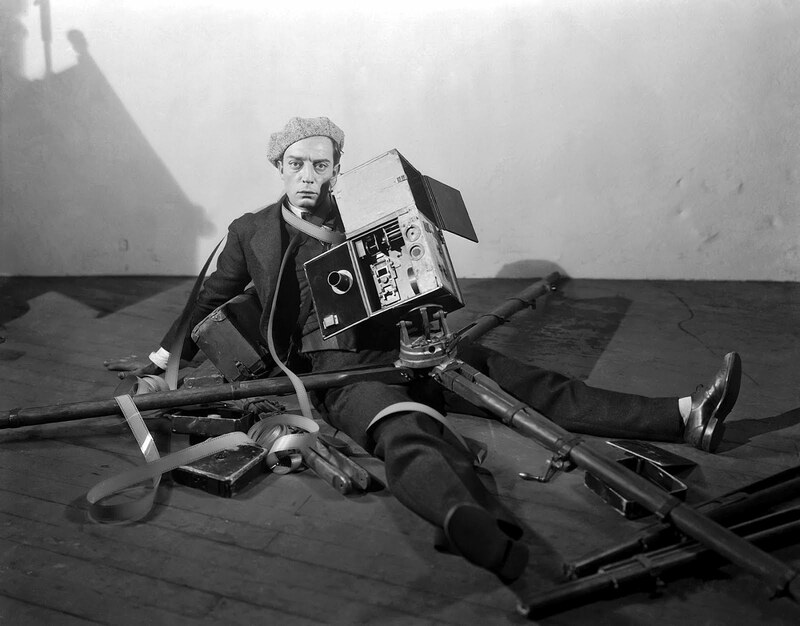 • Saturday, Sept. 15, 7 p.m.: 'The Cameraman' (1928) a comedy starring Buster Keaton. • Saturday, Oct. 13, 7 p.m.: 'The Phantom of the Opera' (1925), a thriller starring Lon Chaney. As an added bonus, the evening will include a live auction of a hardcover copy of the novelization of 'Wings,' published in 1927 to go along with the release of the movie. Proceeds from the auction of this original edition, which includes several high-quality photos from the movie, will support the restoration of the Brandon Town Hall. 'Wings' will be screened on Saturday, Aug. 11 at 7 p.m. at Brandon Town Hall and Community Center, Route 7, in Brandon, Vt. Admission is free; donations are encouraged, with proceeds to support ongoing renovation of the town hall. For more information, visit www.brandontownhall.org. For more info on the music, visit www.jeffrapsis.com. The screening of 'Wings' is sponsored by Pam & Steve Douglass, the National Bank of Middlebury, and The Reporter. I'm often asked what my "favorite" silent film is, and that's a tough question. Usually it's the last really good one I've accompanied, if the music worked out in a way I liked. And there are so many films that surprise me by how well they still work, if you put all the conditions back together to show them as they were intended: a good copy, a big screen, live music, an audience. 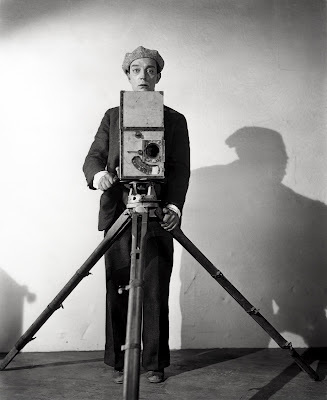 But if I had to pick one, surely Buster Keaton's 'The Cameraman' (1928) would be on the short list. It's a terrific comedy with Keaton in top form. But it's also the film that reintroduced me to silent film about 10 years ago now, and as such holds a special place for me. I had gotten into silent film as a kid and collected titles in Super 8 during the 1970s. Back then, the best day of the month was when my Blackhawk film catalog arrived in the mail! But as high school turned to college and film turned to video and adolescence turned into semi-adulthood, my attention shifted elsewhere, though my interest never completely disappeared. It was only in the year 2000, when I attended the Kansas Silent Film Festival on a whim, that I got reconnected with silent film in a big way. And it was Keaton's 'The Cameraman' that did the trick. The film, with live accompaniment from the Mont Alto Motion Picture Orchestra, was the Saturday morning feature that day. And as the screening progressed, I became increasingly aware of the sense of wonder and possibility in silent film that I think I had always felt in a vague sort of way. There was something about it. But there it was right before me: Buster using the medium to reinvent reality in surprising and beguiling and hilarious ways. And there's a shot in particular near the end of 'The Cameraman' (I don't want to spoil it for you) — one that involves a camera being cranked — that really triggers infinity for me. It's such a wonderful moment in which a simple dolly back to change our point of view also changes our perspective on everything we've seen up until then. It was moving to me to see reality become so plastic and moldable so as to reflect Buster's own particular sense of how life works. At the time, it said so much to me about the power of creativity to make sense of a senseless world, or at least to celebrate that senselessness by finding patterns that no one had thought of before. At the time, I wanted to write a book set in the silent film era—still plan to, actually. And this silent film accompaniment thing was a direct outgrowth of the rekindling of my interest. Would it have happened the same way with any other film? I'm not sure. I do know 'The Cameraman' was really the perfect film for me to see at that time. I can't think of any other that would have had the same effect, and I'm grateful for that. 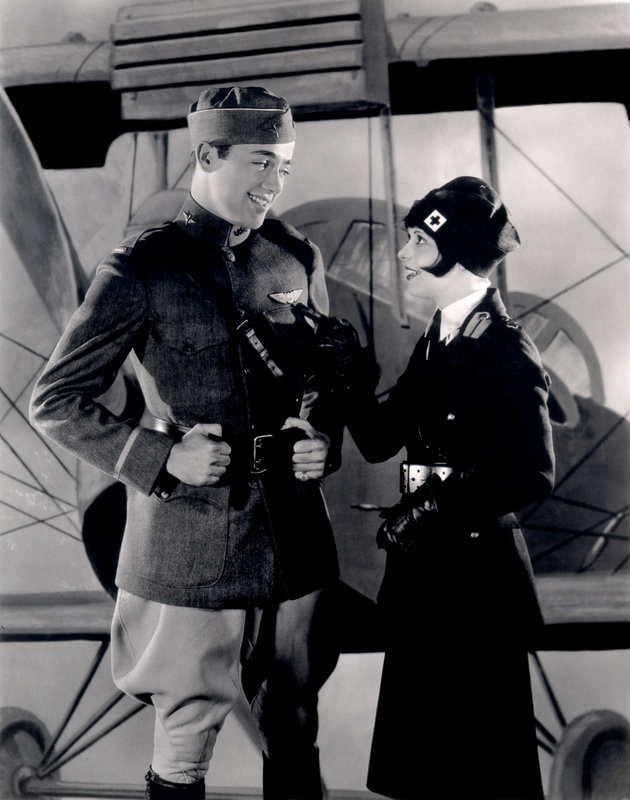 See for yourself with a screening of 'The Cameraman' (1928), one of Keaton's landmark feature films, on Thursday, Aug. 9 at 6:30 p.m. at the Flying Monkey Moviehouse and Performance Center, 39 South Main St., Plymouth, N.H. The program, the latest in the Flying Monkey's monthly silent film series, will be accompanied by live music performed by New Hampshire composer Jeff Rapsis. General admission is $10 per person. 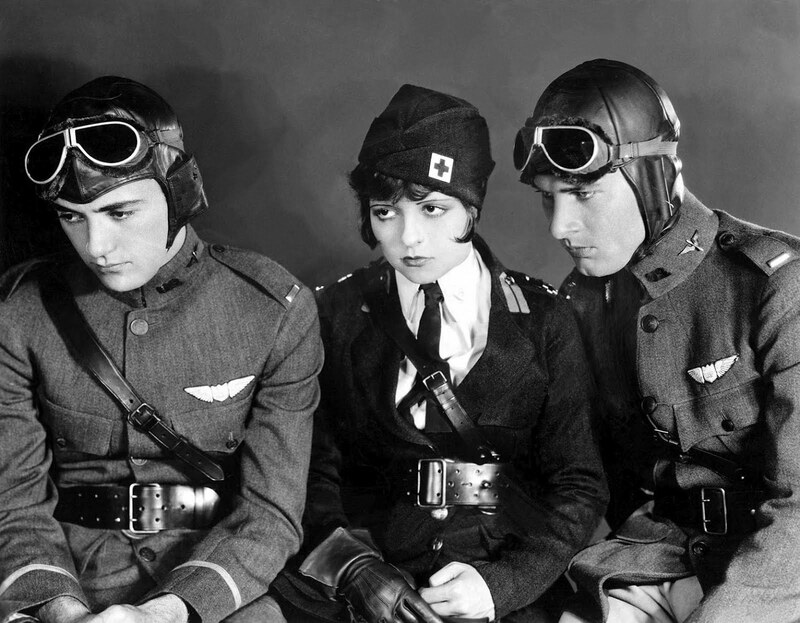 The Flying Monkey's monthly silent film series aims to honor the recently renovated venue's historic roots as a local moviehouse. 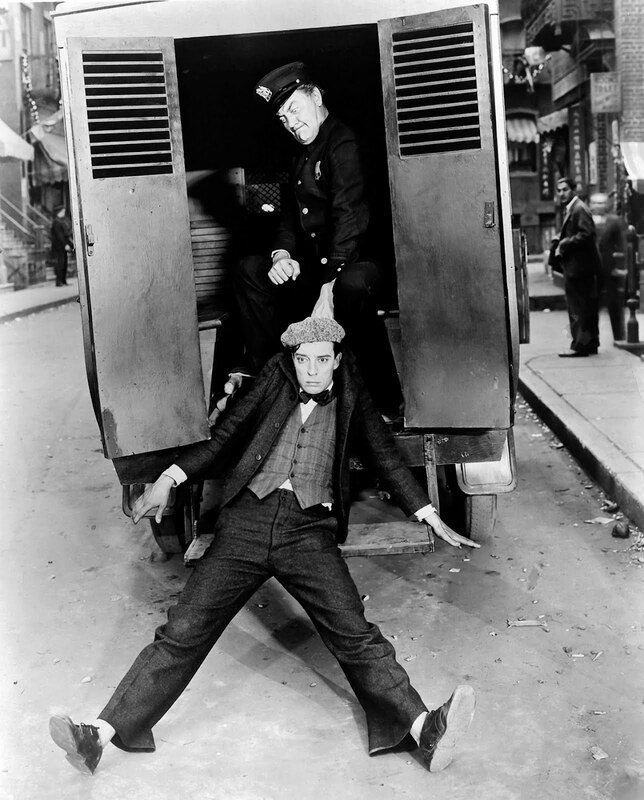 Rapsis, a New Hampshire-based silent film musician, said the Keaton features were not made to be shown on television or viewed on home entertainment centers. In reviving them, the Flying Monkey aims to show silent film as they were meant to be seen—in high quality prints, on a large screen, with live music, and with an audience. ‘The Cameraman’ will be shown on Thursday, Aug. 9 at 6:30 p.m. at the Flying Monkey Moviehouse and Performance Center, 39 South Main St., Plymouth, N.H. Admission is $10 per person. For more info, call (603) 536-2551 or visit www.flyingmonkeynh.com. For more info on the music, visit www.jeffrapsis.com. • Thursday, Sept. 20, 6:30 p.m.: 'Pandora's Box' (1929). The rise and inevitable fall of an amoral but naive young woman whose eroticism inspires lust and violence in those around her. Scorching silent drama starring the incomparable Louise Brooks in what many consider her finest role ever. • Thursday, Oct. 11, 6:30 p.m.: 'Dr. Jack' (1922). A sparking comedy starring Harold Lloyd as a country doctor with unorthodox methods that get results! 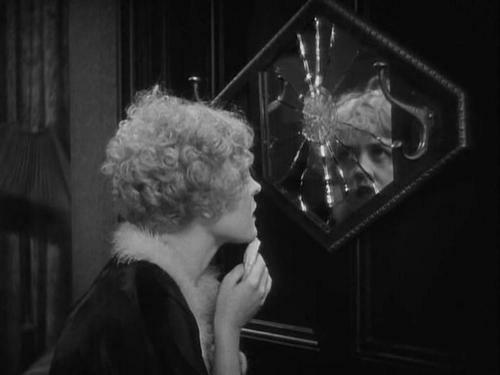 But now comes his toughest case yet: a poor little rich girl (Mildred Davis), bed-ridden with a mysterious condition. Harold's cure is sure to make you smile! 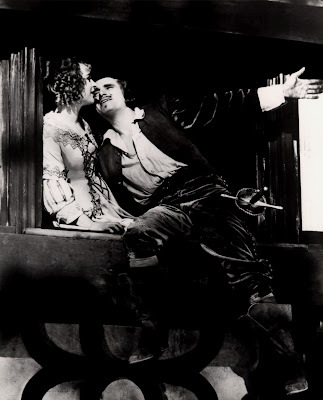 • Wednesday, Oct. 24, 6:30 p.m. 'The Phantom of the Opera' (1925). Special Halloween screening! Long before Andrew Lloyd Webber created the hit musical, this silent film adaptation starring Lon Chaney helped put 'Phantom' in the pantheon of horror and romance. One of the all-time great silent films. In presenting silent film programs, sometimes I feel like I'm leading multiple lives. Take this past week. This past Tuesday, I went up to Twin Lakes Villa, a rustic resort just north of New Hampshire's Lake Sunapee, to present a program of silent comedies with live music. The venue was "the ballroom," a century-old hall with a low ceiling (hotel rooms were on the floors above) and a small stage. The screen was an actual bedsheet strung across the proscenium. Electrical outlets were "of the period," meaning two-prong only, and so power could be had only by use of a modified extension cord (with the ground filed off) found in the owner's barn. The show went fine, although at one point I was continually buzzed by what seemed to be the largest moth in the known universe. Afterwards, I pulled my Subaru Forester up to the back of the ballroom via a grassy path with a stone wall beside it, and loaded my equipment under the stars. The very next evening took me south, to North Andover, Mass., home of Merrimack College and the Rogers Center for the Arts. It's a beautiful (and fairly new) facility capable of handling all manner of stage shows or musical performances. They show movies, too, and last Wednesday night (Aug. 1) saw the debut of a silent film series featuring commentary by author Christopher DiGrazia and music by yours truly. The film was Von Stroheim's 'Queen Kelly' (1928), and what a change from the night before. No bedsheet. No moths. I was able to easily hook my synthesizer into the house system, which sounded great! There was even a plate of free cookies out for the taking. And the auditorium itself was spacious, stylish, and smart. I did run into one difficulty. Once the house lights went down, I realized that virtually no light from the screen was bouncing down to my keyboard (below the lip of the stage), and so consequently I had to "fly blind," meaning play without seeing the keys. Not a big problem, although it does limit how quickly I can react to what's happening on screen. On the other hand, I didn't have to bat away any moths!